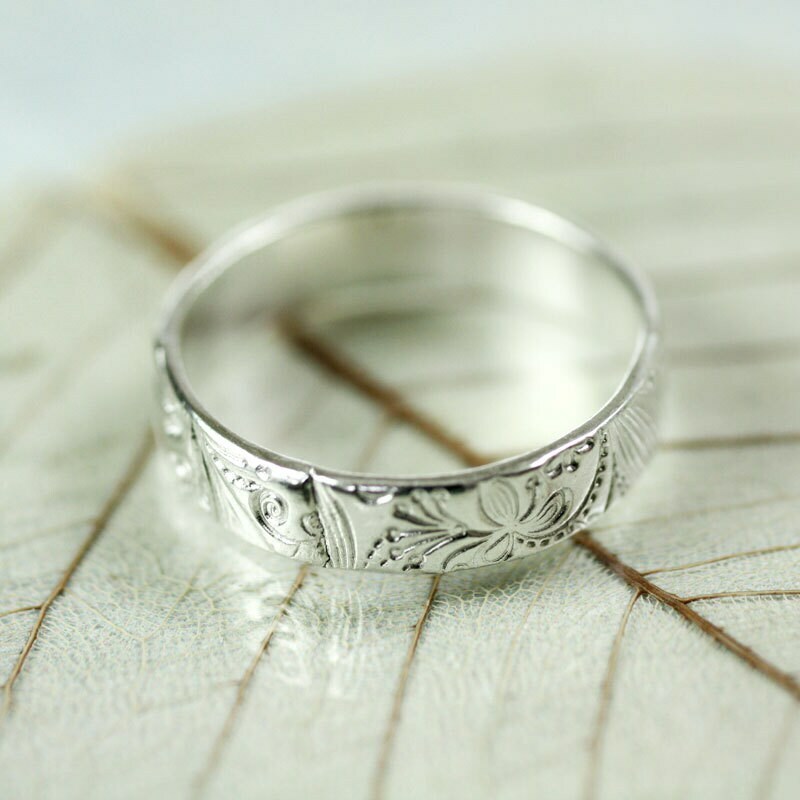 "The dryads never forged rings themselves of course, but the elves solicited their favour with bright silver bands wrought to mimic living leaf and branch." 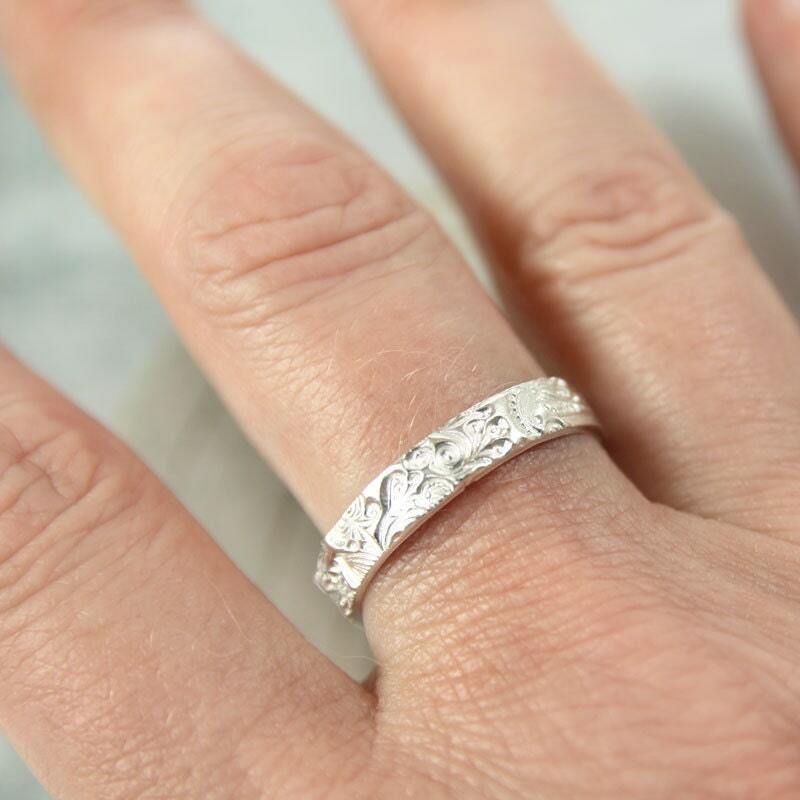 Very romantic 4 mm sterling ring band - wonderful for valentines or a birthday. 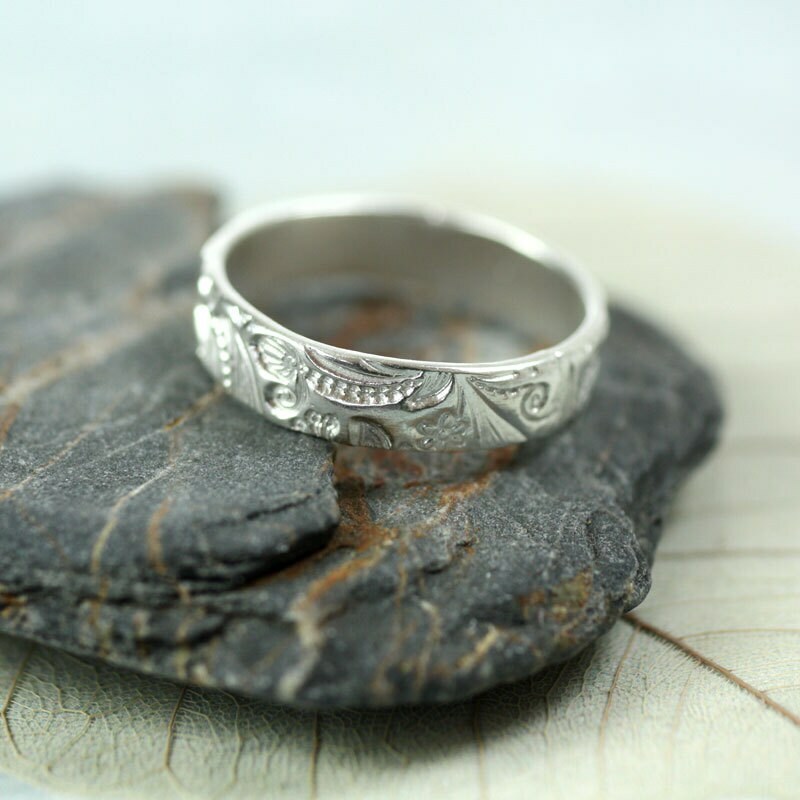 I have textured the ring with a delicate forest texture - ferns, leaves and flowers. It shines and catches the light beautifully. 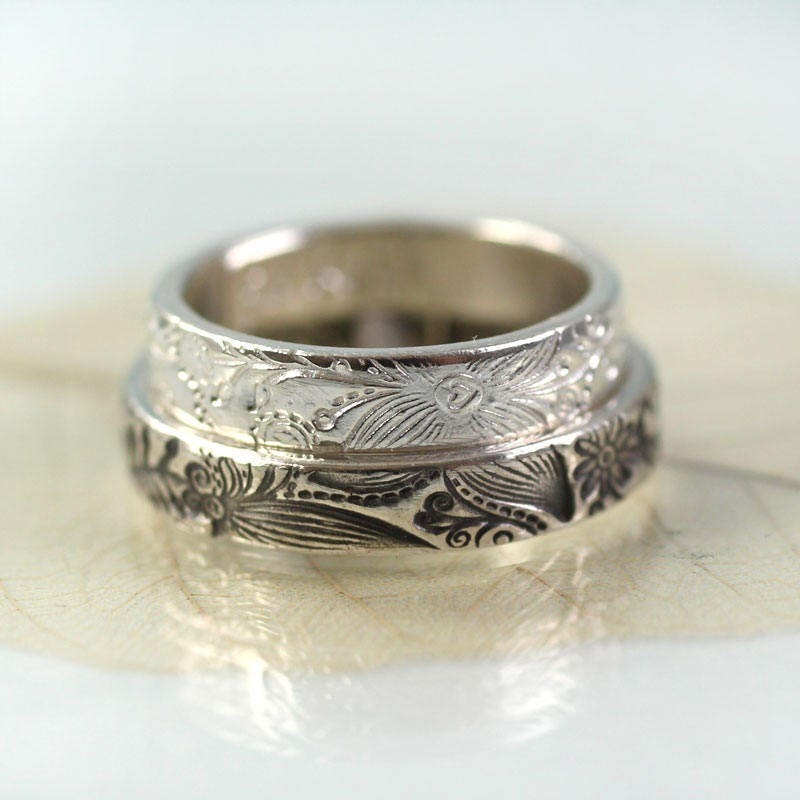 The ring looks very different shiny bright Vs with the pattern oxidized - have a look at the two versions in the photos and see which you like best. Earrings with the same pattern are available in my shop. Highly recommended. 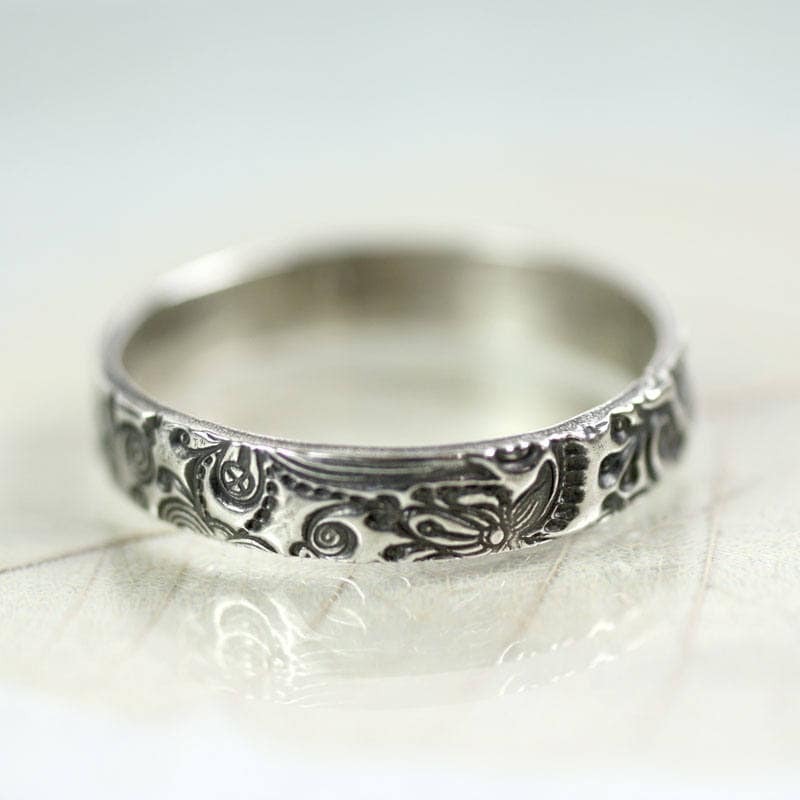 Gorgeous sterling silver ring. Shipped quickly. Packaged well. 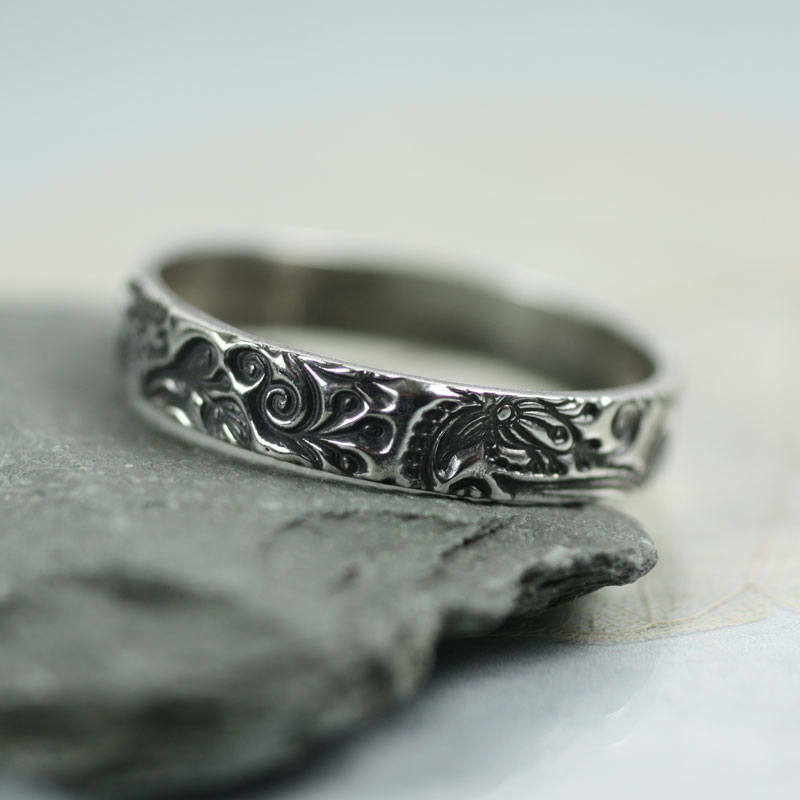 I ordered the fairy ring for myself and it is absolutely gorgeous and exactly what I wanted. 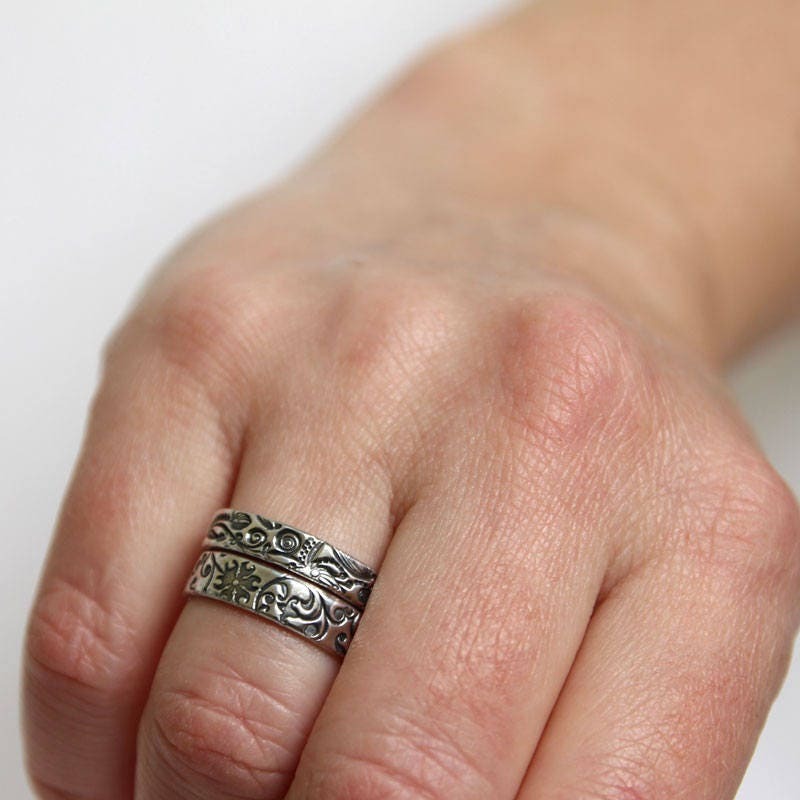 Thankyou for a super speedy delivery and such a perfect ring.